Announcements / Hicks of Rage - Birthday present for a friend. For a friends birthday we made a Streets of Rage style game, with him in it. It was a lot of fun to do, and probably the most complete thing I've actually made in GLBasic. Check it out, and as always, all comments greatly appreciated. does anyone know how to get my games to run on it? Do I compile for Raspberry PI or Linux? Also any idea how I would make it automatically boot up into my game. So we can install it into an arcade cab of sorts. does anyone have any idea how I would simulate a CRT effect with GLBasic? 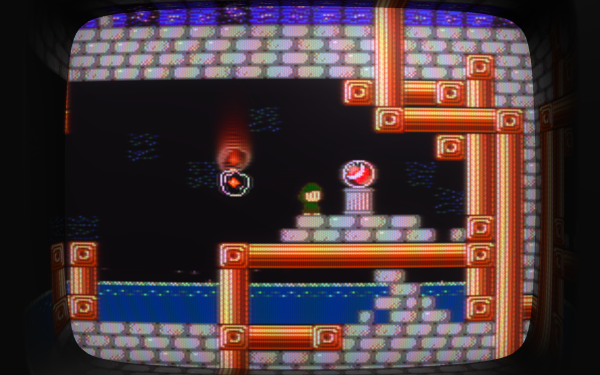 I make a lot of stuff in a low res, like 320x200 and 256x244 and it would be nice to give the player the option to have a CRT effect in place. I've read elsewhere in the forum that GLBasic supports shaders, but I don't know where to even start with shaders. Announcements / RegulatED - EGX Rezzed 2015 Creative Assembly & the Guardian GameJam entry. Here's our game RegulatED, an Action Puzzle game written in good ol' GLBasic. We were up first in the presentation. Managed to win 3rd place. All comments, positive and negative are welcome, thank you. Overly ambitious as I wanted to make a bunch of minigames, I had 8 planned. GLBasic - en / Best versions of GLBasic for different platforms? Can anyone tell me the best version of GLBasic for compiling to the various platforms? The one that has the least bugs and the most stable. Windows, Mac OS, Android, iOS. I'm currently using v12.308 it has some serious project breaking issues, with Mac OS, Android and iOS. Also as far as I can tell HTML5 is broken, does anyone know when it was last working? GLBasic - en / CREATESCREEN and LOADFONT in Mac OSX clash. it all looks great on a Windows PC, I can use a virtual screen and load in a font no problems. or if used in the opposite order, loading font first, then creating screen, the created screen becomes the used font file. So this is what I came up with in 24 hours at the Game Hack held at Pinewood Studios. and there was another category for the best endless runner. hence the mini game built into the intro screen. Off Topic / Where are you from and what's your story? In an effort to bring the GLBasic community closer together. I ask the question, where are you from and what's your story? i'll be there, to write a game for Asobitech 1UP game series using GLBasic. Off Topic / What do you like about games? and then 3 things the you do not like about it. Off Topic / Comments/Discussion for Showroom entries? Wondering if it would be possible to add the ability to comment to Showroom entries. Would be a good way for people to discuss the individual downloads themselves. Announcements / A Game a week with the power of GLBasic. I've been having a problem, getting motivated, staying focused and actually finishing my projects. So for the year of 2012 I'm planning to pull my finger out and release a new game every 7 days. I made a small video explaining what I plan to do. I really don't think this would be possible without the power of GLBasic and this forum.